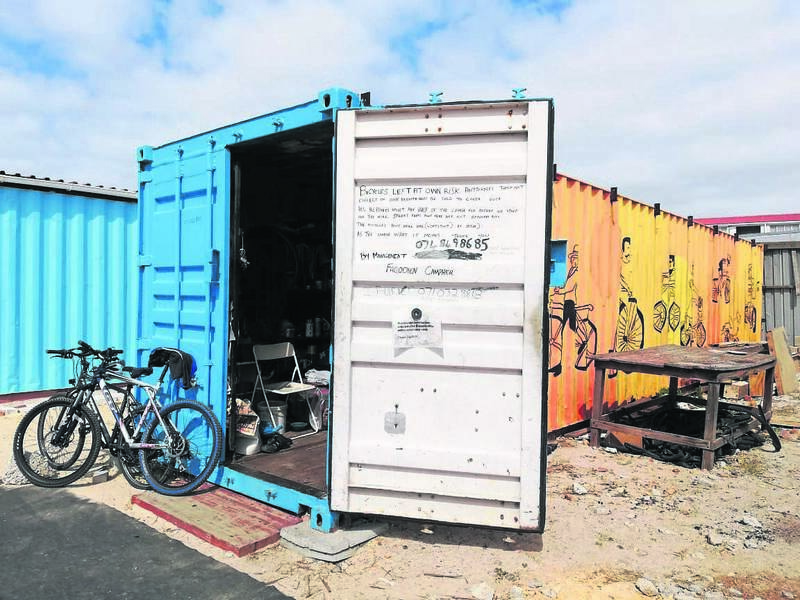 The bicycle club at Lavender Hill High School is run from a container, in which the bikes are fixed and stored overnight. While Lavender Hill may be plagued with gang-violence and drug abuse, the community’s high school aims to combat this problem by creating a haven for learners to find refuge from the social- ills outside its walls. Lavender Hill High School has joined with Bicycling Empowerment Network (Ben) to expand on their already available bicycle club by turning the open space on the school’s property into a BMX track for learners to use as a part of the club, competitively or for recreational purposes. Fredaline Stain, acting principal at the school, says that they decided to build the track last year as a response to the needs of the club which has been around since 2011. Ben will also supply BMX bikes to the school, for the learners to make use of on the new track. Fagodien Campher is a Lavender Hill community member who runs the bicycle club at the school through Ben. The club helped three learners to receive their Western Province colours for the sport. He has endorsed the club for its ability to get children off the streets. “I started with Ben as a mechanic and they set me up with these two containers (on the school grounds) to fix bikes,” Campher said. The track, which is set to be completed in the next few weeks according to Mosdell, is intended to attract more children to the club and hopefully develop skills that may be conducive to a bright future. “We’re trying hard to give our learners the best, academically and in sport,” says Stain. To donate to Ben or find out more about the organisation, visit www.benbikes.org.za or call their office on 021 788 4174.